Perhaps you’ve heard the saying: “A rising tide lifts all boats.” The opposite of that statement is also true, as we have all seen since 2005 with falling market values. But many buyers and sellers don’t realize that whether the market is rising or falling, the tide isn’t lifting or lowering all boats equally. And this provides you with an excellent opportunity, if you're considering purchasing Outer Banks real estate. Near the market peak in late 2005 and early 2006, buyers of Outer Banks investment properties found themselves pushed further and further from the ocean, due to high market values. Many buyers were purchasing homes nearly a quarter mile from the beach, because these were the only homes that were within their budget. With the fall in values that our market has experienced during the last 8 years, buyers’ purchasing power has significantly increased. Many are finding that homes that are just a few lots off the ocean are now within their reach. 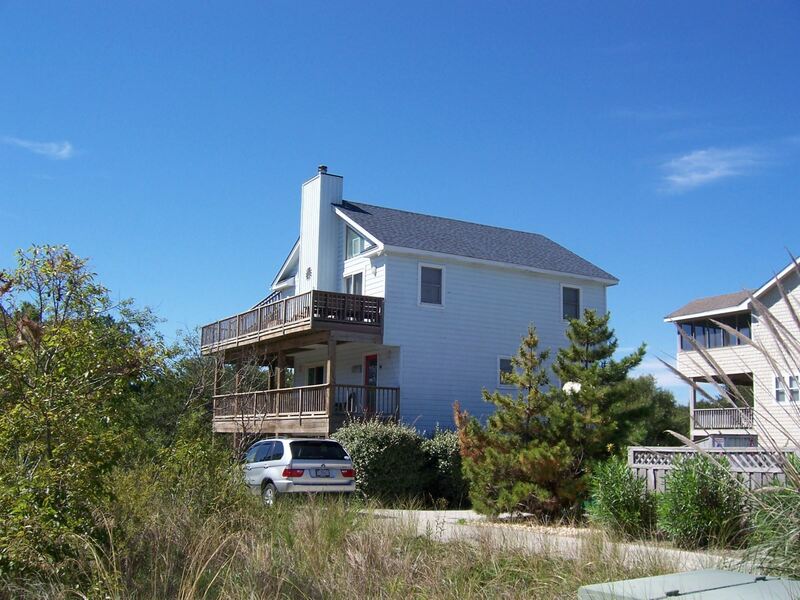 Property values have fallen most for Outer Banks oceanfront homes. (Think ‘the bigger they are, the harder they fall’) and then semi-oceanfront, two off the ocean, and so on. When the market begins to appreciate once more, the ‘tide’ of rising market values will raise oceanfront homes and those closest to the ocean higher than those that sit many lots away from the beach. 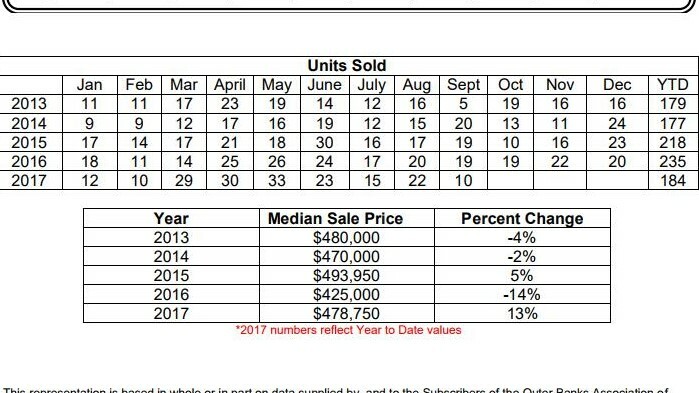 In other words, there hasn’t been a better opportunity for buyers to purchase this close to the ocean in many, many years. By purchasing now, you are poised for your Obx investment property or second home to enjoy the rising tide of price appreciation in the future. In the meantime, there is an additional benefit for you to enjoy: higher rental income. Outer Banks homes that sit closest to the ocean not only rent for more money, due to their proximity to the beach; they also rent first. So, your income stream begins sooner in the year than for those property owners whose homes sit many lots further back. And so the conversation today about rising and falling tides is just another way of illustrating that lot location is the single most critical factor in your purchase. If you are interested in buying Outer Banks real estate, I’m here to help. Feel free to call me at 252.207.1617 with questions on any listing you see that interests you. Holleay Parcker, REALTOR® has fourteen years of full-time experience assisting buyers and sellers, and in this challenging market, can assist you in maximizing the return from your purchase or sale. Believing that education is the pathway to excellence, Holleay has earned the coveted Certified Luxury Home Marketing Specialist designation, is a MILLION DOLLAR GUILD Member, is a member of the Institute of Luxury Home Marketing, and holds the Resort and Recreation Specialist and Accredited Buyer’s Representatives designations, along with the e-PRO certification. Holleay was recently awarded the 2014 BEST OF TRULIA TOP AGENT AWARD. Location, Location, Location. When most people think about real estate, this is one of the first statements that come to mind. The fact that it is repeated three times indicates the importance of considering location. As you will see below, when purchasing Outer Banks real estate, location isn’t just important; location really is everything. Purchasing a second home or investment property on the Outer Banks is a significant financial investment; typically, buyers spend more on their beach house than they did on their primary home. So it’s important to get it right. Here are some location tips for you to consider when selecting your home or lot. If you are purchasing an Outer Banks investment property to maximize cashflow, then you should look at the homes that you’re considering through the eyes of a renter. Why? Doing so will enable you to purchase a home that will rent well, because it’s in a location that renters deem desirable. Renters care about the distance to the beach and how long it will take them to get there. Outer Banks homes located on corner lots that have a direct beach access at the end of the street are more desirable to renters than homes located eight or nine lots from the corner. A nice, wide beach to enjoy will trump a beach that needs to be nourished in the eyes of a renter every time. Be aware of the condition of the beach in the area where you’re considering purchasing. If you’re considering Outer Banks oceanfront homes for sale, then you will need to pay particular attention to the condition of the dune. Wide, high, densely vegetated dunes will provide much protection from storm surge during hurricanes; while small, poorly vegetated dunes will not. I educate my buyers thoroughly on the importance of dune conditions before they purchase an oceanfront home here. Renters prefer an ocean or sound view. After all, most of our vacationers are coming from one or more states away, mostly from inland locations. If the location of the home that you’re considering provides an ocean or sound view (or both), it will tend to rent better than those homes that have little or no view. Renters want easy access to shopping, fine dining, and the local attractions. My buyers and I always look for homes that are in close proximity to these amenities. Location is also important as it relates to ease of getting around town during the tourist season. Properties that are located near a traffic light are highly desirable, as during the season, it’s nearly impossible to make a left hand turn against traffic if you’re stuck at an intersection without one. Many renters enjoy having lots of neighborhood amenities at their fingertips, including fitness centers, nature trails, community tennis courts and swimming pools. (These amenities always come at a cost, however, in the form of HOA dues, which will vary from one subdivision to another). So, now that you’ve looked at your list of Outer Banks homes for sale through the eyes of a renter, it’s time to switch gears. Now let’s look through the eyes of an owner. Why is this important? Because simply put, renters have no financial investment in the property, while its location can have a significant financial impact on its owners. There is a great deal happening with regards to flood insurance at present. (You may have heard about this by now.) New flood maps will be released early in 2015, and the new maps should prove beneficial to many property owners. While an in depth discussion of flood insurance is beyond the scope of this blog post, please contact me with any flood insurance questions you may have. I have an excellent Outer Banks insurance agent I can refer you to, who will be happy to address your questions. My toll-free number is 877.207.1617 and my cell is 252.207.1617. Suffice it to say that Obx homes that are located in the 'x' flood zone (the ‘x’ flood zone is outside the 100 year flood plain; if you have a mortgage on the property, and it is located inside the ‘x’ flood zone, your lender will NOT require you to carry flood insurance) are becoming very popular with buyers. But there is more to this discussion than merely which flood zone the property is located in, because storm water runoff is a real concern for owners of Outer Banks real estate. So let’s look at the property that you’re considering with an eye for how the house is actually situated on the lot. Ideally, the house should be at the highest point on the lot, and the lot should be graded away from the house on all four sides. The driveway should either be level with, or lower than the house, and sloped away from the house, not towards it. This will ensure proper drainage during heavy rainfall. Now let’s head out to the street, and look in both directions. Ideally, the house should be located on a high point in the street, and not at the lowest point, because storm water will always run towards the lowest areas. Standing at the street, let’s take a look back at the house. The house should be higher than the street. If it is not, storm water will run towards the house. For the same reason, the house should either be level with the neighbors on either side and to the rear, or higher than the neighbors. If it is lower than surrounding homes, then again, runoff water will always find the lowest area. Most buyers believe that high wind is our biggest concern here on the Outer Banks…but the truth is that water does far more damage than wind. Our construction codes are stringent, and Outer Banks new construction homes are being built today to very high wind standards. But if the Obx home you’re considering is located on a low lying lot, or if it is situated where water is draining towards the house, rather than away from it, that is something to wary of. 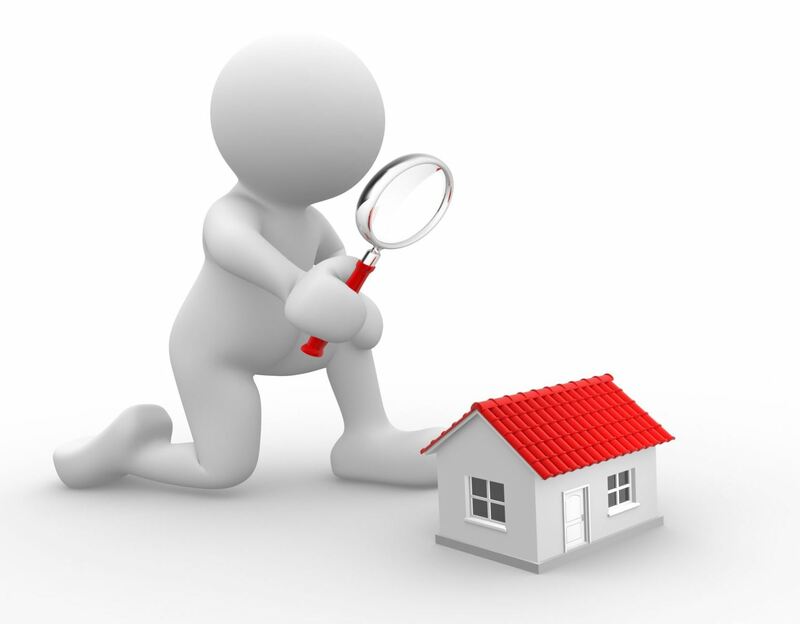 When I show property to my buyer clients, these are the kinds of things I’m looking for regarding the location of the property, and I make my buyers aware of these issues as well. It is attention to details such as these that make the difference between buying an Outer Banks home you will be thrilled with for many years, as opposed to merely inheriting another person’s drainage problems. Please be sure to check out the What Clients Are Saying section. I have dozens upon dozens of positive reviews from clients whom I have provided excellent service to. I promise to provide you with that same level of careful and thorough service as well. For more tips on buying Outer Banks real estate, call your local expert Holleay Parcker toll-free at 877.207.1617. Holleay Parcker has fourteen years of full time experience assisting Outer Banks home buyers and sellers, and in this challenging market, can assist you in maximizing the return from your purchase or sale. Believing that education is the pathway to excellence, Holleay has earned the coveted Certified Luxury Home Marketing Specialist designation, is a Million Dollar Guild member, and holds the Certified Residential Specialist, Accredited Buyer's Representative, Resort and Recreation Specialist designations, along with the e-PRO certification.